Beer is a wonderful thing. And, lucky for us, we have a resident beer enthusiast on staff: Colton. Intrigued by what he had to teach us, Mike (ETCast newcomer) and I sat down for a competition of beer tasting as prepared by Colton, who selected six beers for us to comment on in competitive fashion. 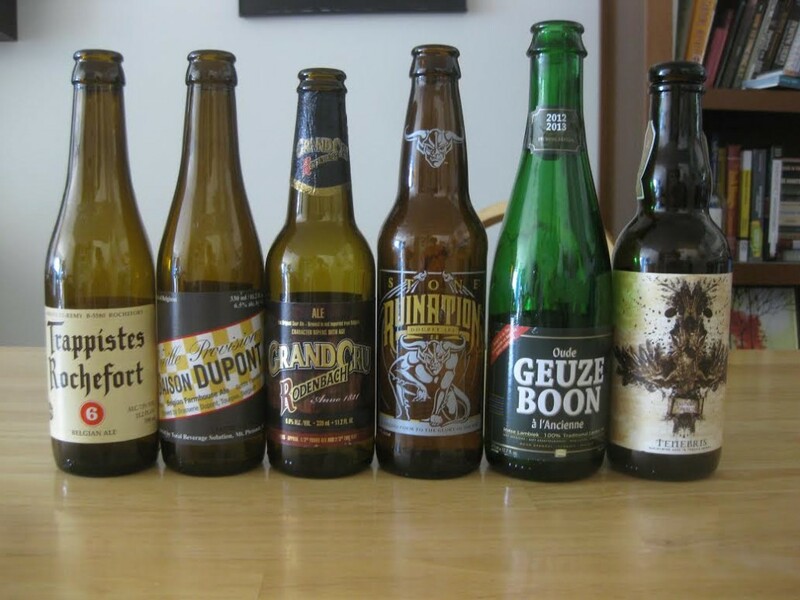 As our first ever “Beercast” progressed, our comments became more and more uninhibited, perhaps peaking in a debate of the worst US state (Dan and Colton, at least, reach a consensus). We hope you enjoy this podcast as much as we enjoyed recording it. You probably won’t, but we hope. This was a lot of fun. Request to participate in the next BeerCast. I wanted a more elaborate investigation into Ohio’s awfulness. Full disclosure: by the time I saw this comment, we had already planned another one, which happened quickly and on a weeknight because I had a tight timeline. We’ll get you in for future beer, though. Given that this is the year of 1000 lists, shoot me an email if you would be interested in ranking the Top 49 U.S. states. Ohio may or may not earn a dishonorable mention. Yeah I just meant that I’d like to do *a* BeerCast, someday down the road. Didn’t mean to intrude on any plans you had. I’d be on board with ranking the states.